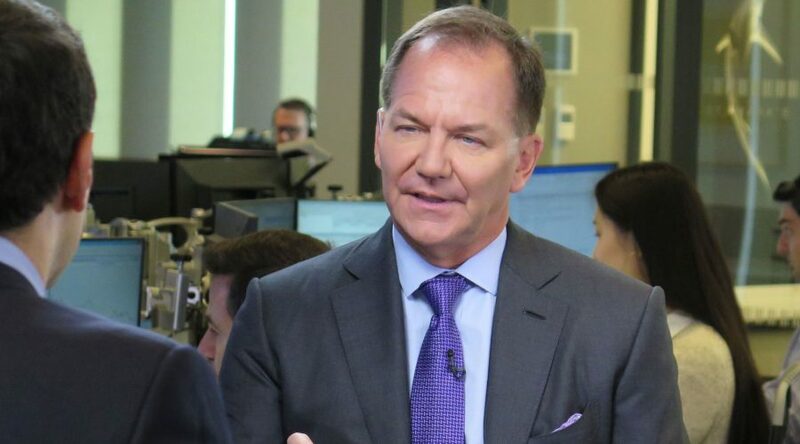 Hedge fund magnate Paul Tudor Jones criticized corporate America’s share buyback “mania” in an interview Monday. Jones said companies should focus more on ethical investing, whether employees are making a living wage and how much is being given back to charities. Hedge fund manager Paul Tudor Jones issued a call for more responsible investing, saying that the craze over stock buybacks is causing troubling social ills. “I think we’ve got a mania going on in buybacks and a mania going on in terms of shareholder primacy,” Jones told CNBC’s Bob Pisani on the sidelines Monday of the Inside ETFs conference in Hollywood, Florida. He added that the focus solely on shareholder profits has helped cause major wealth disparities and is a departure from the way corporate boards used to behave. “Things have been different and can be different again, and if they’re not I’m really nervous about what the ultimate social consequences are in this country,” he said. U.S. companies bought back more than $1 trillion of their own shares in 2018, helping to keep afloat a market that turned in an otherwise lackluster performance as the S&P 500 was off more than 6 percent for the year. However, the propensity of companies to use the trillions in cash they are holding has caused controversy and calls for legislators to limit the practice. Specifically, Sens. Charles Schumer and Bernie Sanders recently proposed requiring companies to meet certain requirements before being allowed to do repurchases. Among the standards would be minimum employee pay of $15 an hour along with paid time off and health benefits. Jones said he wasn’t sure if he wanted to go that far. He said he has been speaking with Schumer, a New York Democrat, for over a year on his ideas about socially responsible investing. Before companies make buybacks, board members should ask whether their employees are making living wages, and should look into how much the companies are contributing to charity, he said. As part of his push for more ethics in boardrooms, Jones touted the Goldman Sachs JUST US Large Cap ETF, which focuses on companies that comply with environmental, social and governance standards, or the so-called ESG investing philosophy. The fund is up more than 8 percent so far in 2019, about in line with the broader stock market performance. The fund administrators rank Russell 1000 companies on how they stand regarding ESG metrics, then take the top companies and include them in the ETF. The top holdings include tech giants Amazon, Microsoft and Apple. In June, he told CNBC that the stock market could go “a lot higher at the end of the year,” but the opposite happened. Stocks fell into a near-bear market to end the year as investors recoiled on fears that the Federal Reserve was going to make a policy mistake and raise rates too aggressively.